this Started Level Training. 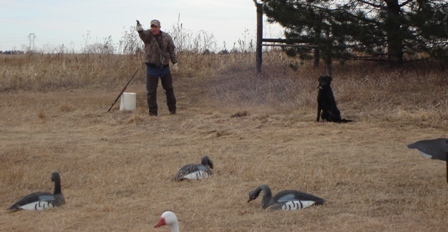 These techniques are then applied to single mark retrieves in a "mock"
maneuver thru decoys during the retrieve. blinds and stands. Multiple marks with doubles and triples are common during this stage of training. 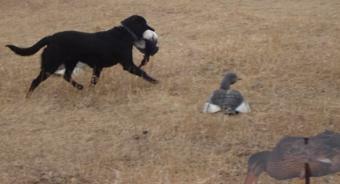 shot and then the retrieve. 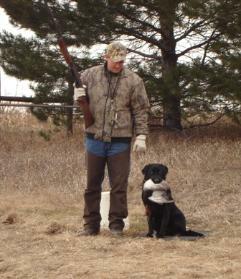 for an anticipated next bird. 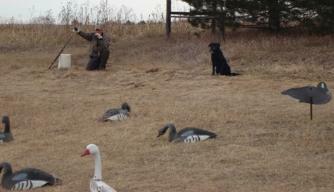 calling/ shooting & maneuvering thru the decoys, hunting from an Avery Dog Stand, Avery Ground Force Blind & a Duck Boat. 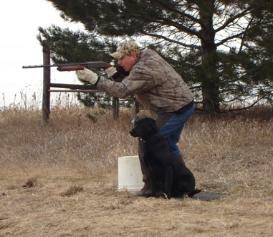 The "Place"
well as, shooting the first "Flyers" to the retriever. After the "out" command is given " shake" is what we say and shake is what they do.